Social Media continues to gain momentum as a key element in strategic online marketing. But more importantly is its use as a communication tool to engage with consumers. Savvy brands are learning to listen, communicate, and share in new ways to ensure their message and their brand are represented well in the new digital democracy. It’s a valuable, yet low-cost way, to connect with your consumers, provide customer service, and initiate campaigns and promotions. However, many small business owners continue to be overwhelmed and puzzled by how to effectively use social media. That’s why we formed Social Media ConneXtion, a division of NWWCC, focused on helping small businesses figure out what works best for them. Every business is unique and one-size-fits-all does not apply with social media. On the other hand, ignoring it completely is not recommended either. In fact, your use of social media sites, in conjunction with your web site, plays a vital role in your search engine rankings. These days, if you want to be found on the web, you’ll need more than a web site, you’ll need a Web Presence, and that includes utilizing social media sites. Social Media ConneXtion can provide an easy solution to help you get the most value in the least amount of time. We can assess the overall performance of your entire web presence, beginning with a review of your web site, social media platforms and search engine rankings. We can measure the results of your current email and social media campaigns and promotions or help you incorporate them into your marketing strategy. We can also assist you with managing your social sites, if time is an issue, or provide training. So whether you already have accounts setup or you need help getting started, we offer services to fit every level of need and budget. 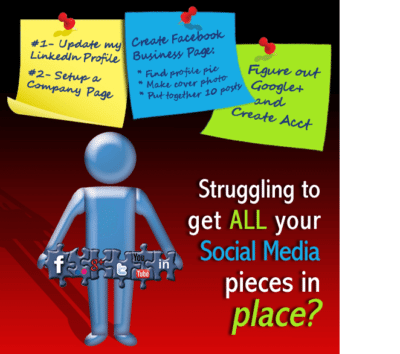 Setting up each Social Media Platform account is different and involves a learning curve. Combine this with continually changes in what’s required or added options to figure out, and you might get a bit discouraged. Maybe it’s a matter of keeping your information current or getting it up to speed on the accounts you already have in place. Finding the time to update or complete your profiles can be hard when running the business is your job.  If setting up or updating your social sites is in your game plan, but you never seem to find the time, we can help. Social Media ConneXtion helps businesses everyday streamline this process. We’ll help you avoid common mistakes when setting up your Google+ Account, YouTube Channel or Facebook Business Page. Plus we can ease the frustrations associated with making updates, whether it’s on your current LinkedIn Profile, adding a Company Page or converting your Personal Pinterest to a Business Account and pinning your new product photos. Whatever the task, setup or cleanup, our knowledgeable team at Social Media ConneXtion can get it done right in half the time, so you can focus on more important things. Setup new accounts/profiles or cleanup existing accounts/profiles on: Facebook, Google+, Twitter, LinkedIn, YouTube, Pinterest, etc. 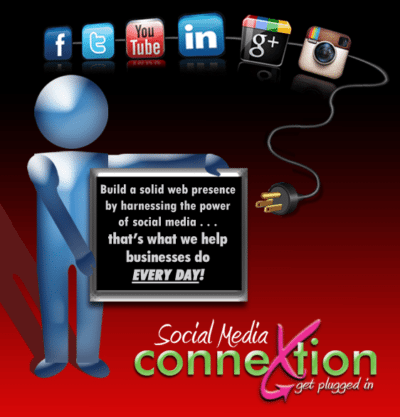 Contact Social Media ConneXtion TODAY!